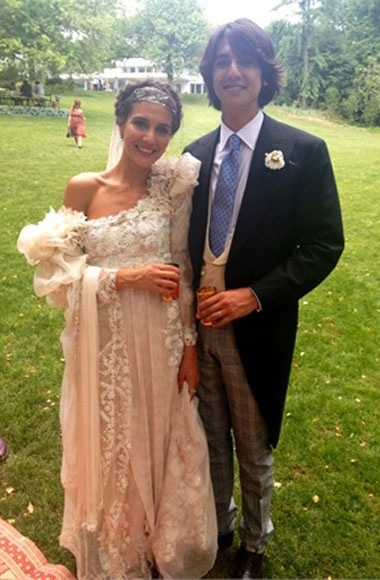 The beautiful bohemian Margherita Missoni married her Italian race car driver beau Eugenio Amos this weekend in Brunello, Italy. 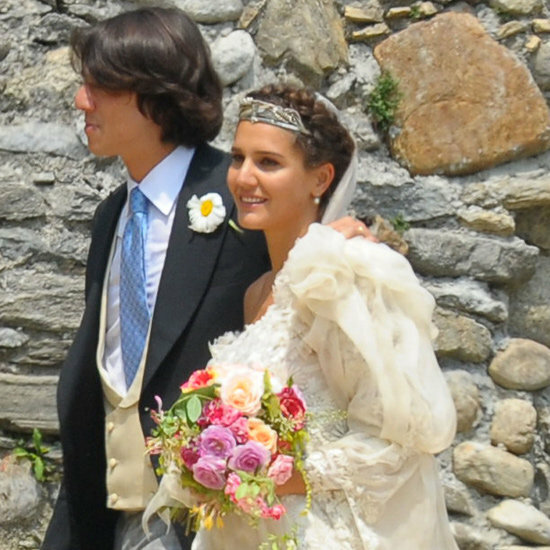 The 29 year old Missoni brand ambassador wore two versions of her custom designed, long-sleeved, Giambattista Vali couture gown made with Missoni silk – one in white for the formal church ceremony which she paired with a veil and tiara. The other appeared later on at the reception in a delicate blush tone accented with a floral headpiece. After the church wedding the Missoni family welcomed guests from the fashion world including Anna Dello Russo, Mario Testino, Carine Roitfeld, Dasha Zhukova, Bianca Brandolini D’Adda, Eugenie Niarchos and Franca Sozzani to an outdoor reception in the countryside. The farm where the wedding took place was transformed into a gypsy-inspired playground. There was a gypsy band, acrobats and a fortune-teller, as well as illuminated bales of hay, painted caravans and long tables full of food. What a magical and fashionable affair.